I found this great lesson here, and I thank Miriam for sharing it. My students enjoyed the lesson very much. I enjoyed it because it's not as hard as it looks! 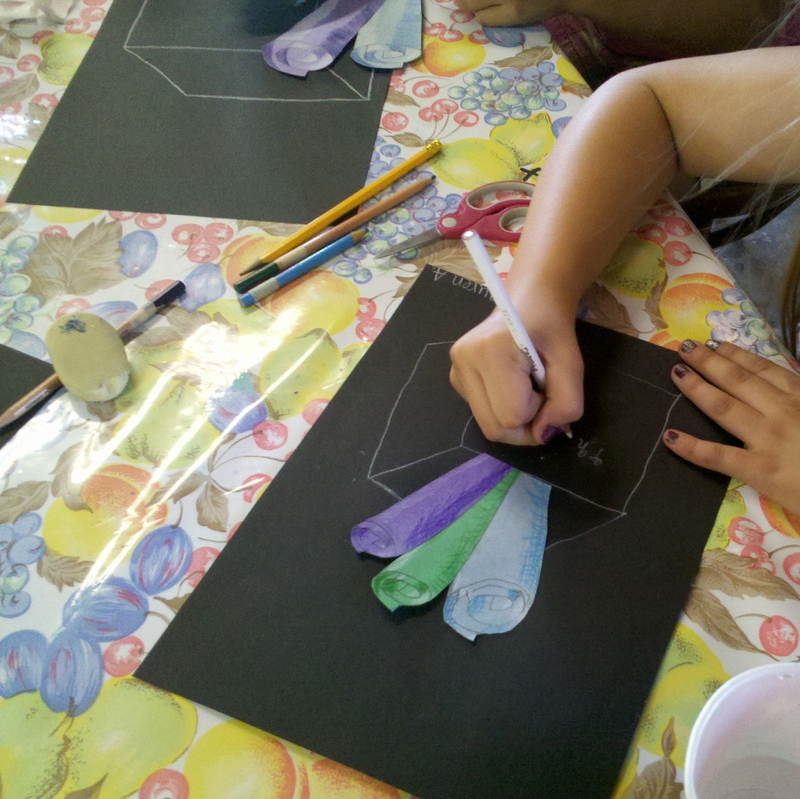 First I taught how to make a 3D paper scroll by starting with a curly-que at the top, then attaching vertical lines on the sides of each curve. Lastly shading the sides. 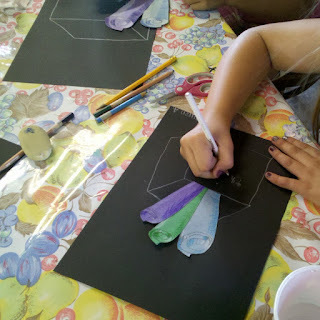 Students chose colored construction paper. 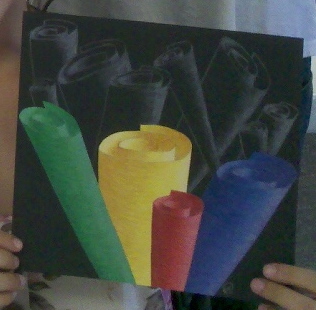 Drew and shaded a 3D scroll on each color with colored pencils. Cut them out. Arranged them on their paper. 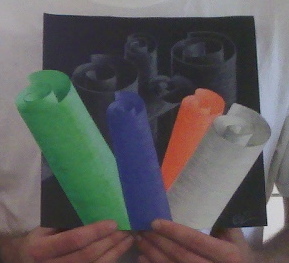 Then they drew "ghost scrolls" behind the colored scrolls. Lastly, they cut off the bottom of their paper so all the scrolls touched the bottom. Another time I taught the lesson, students drew a box with white pencil and then "ghost scrolls" behind the colored scrolls. Great work!! I’m so happy to share my ideas with you! Your student are very gifted! Thanks for sharing!